No one plans for their car window to get cracked, but it still happens. It is not a fun problem to handle, so by getting immediate car window repair, it can just be a mere inconvenience. Letting a crack on your window stay for a long time can lead to other issues that will only worsen the situation. Making it a top priority to get help as soon as you have a few hours to spare is the smartest choice. The most detrimental problem that you want to avoid is the crack growing. At some point, a window crack becomes unrepairable, and this is when you need to spend a lot more to get a brand new window. This is worth avoiding, and all you need to do is let a professional repair the window and make it pretty again. If a crack extends through the entire glass, it could end up leaking moisture. If this goes completely unnoticed, you could have a major water problem in your car after a day or two of heavy rain. So, you should try to avoid parking in uncovered areas until the window is fixed to avoid this potential issue. A cracked window is at greater risk of taking extra damage compared to an unblemished window. 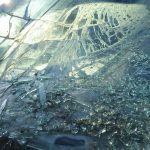 Although the glass is designed to handle impacts with things like rain, snow, insects, and small hail chunks, they are all more likely to enlarge the crack on the glass until it is fully repaired. This is especially true with hail chunks, which are some of the hardest objects that your windows will ever make contact with. Want to avoid these potential issues? Contact us today!